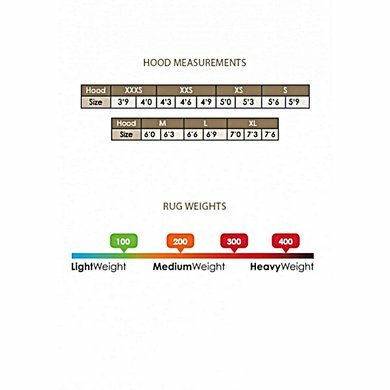 The Rambo Optimo neck is the matching 200 grams neck piece for the Rambo Optimo Stable Rug. The neck piece is very easy and quick to attach to the blanket by means of rings and Velcro. The outer fabric is made of very strong 1000D ripstop polyester. 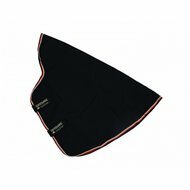 The inner lining is made of heat-retaining material which ensures that body heat is well preserved. This neck piece is not waterproof. Unfortunately the wrong Velcro system, I wanted the two big Velcro closures. Beautiful neck piece, not too thick, good closures and attachment method to the blanket. Very nice neck piece. Unfortunately, customer service gives the wrong information. I have asked the customer service to confirm it to my Rambo optimo stall of 0g. They respond that this is indeed possible. But when the blanket arrives there is no ring on the blanket to fasten it. Too bad. Then bought a ring yourself and confirmed. 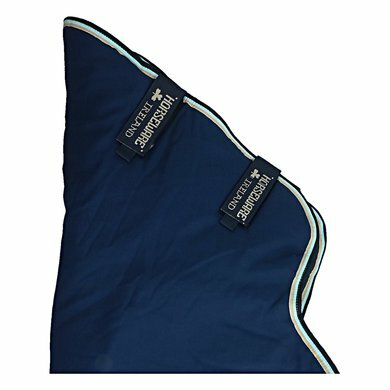 Answer: According to Horseware you need, for ceiling size 155, the neck part in size L.